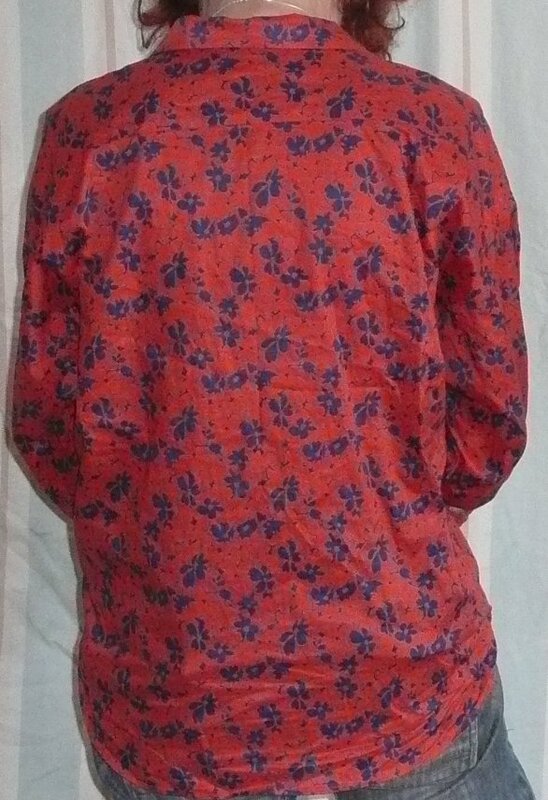 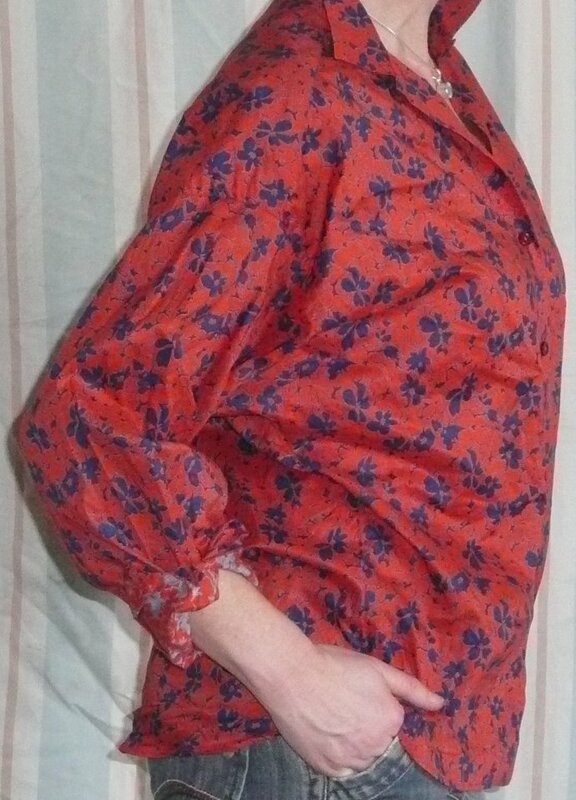 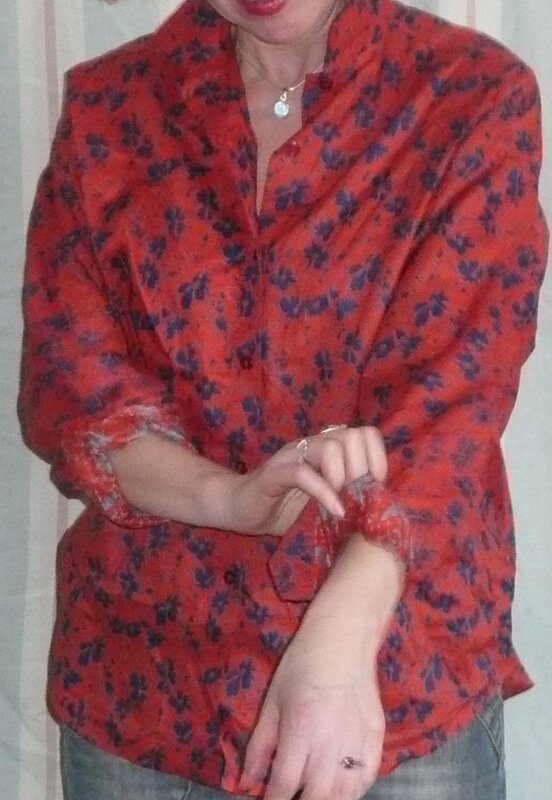 Vintage 80s cotton Liberty print blouse. 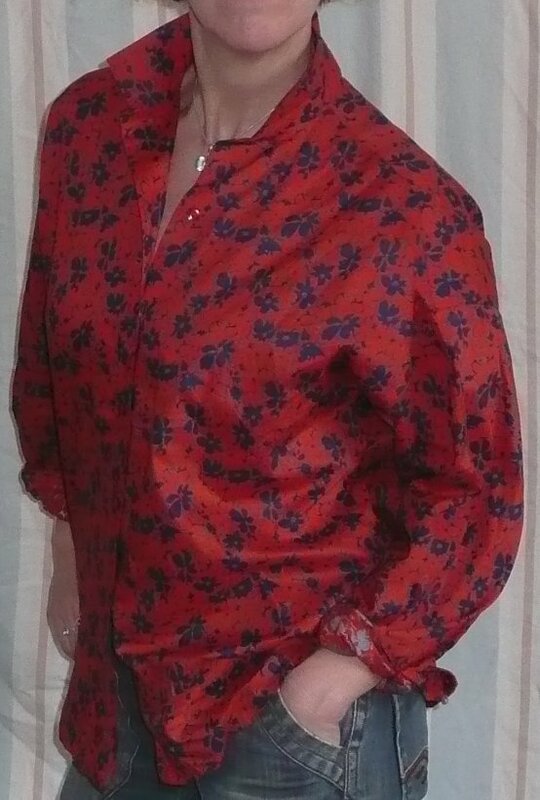 Gorgeous and very wearable high-quality cotton blouse in a Liberty floral print - versatile and just as stunning as it was when first worn! 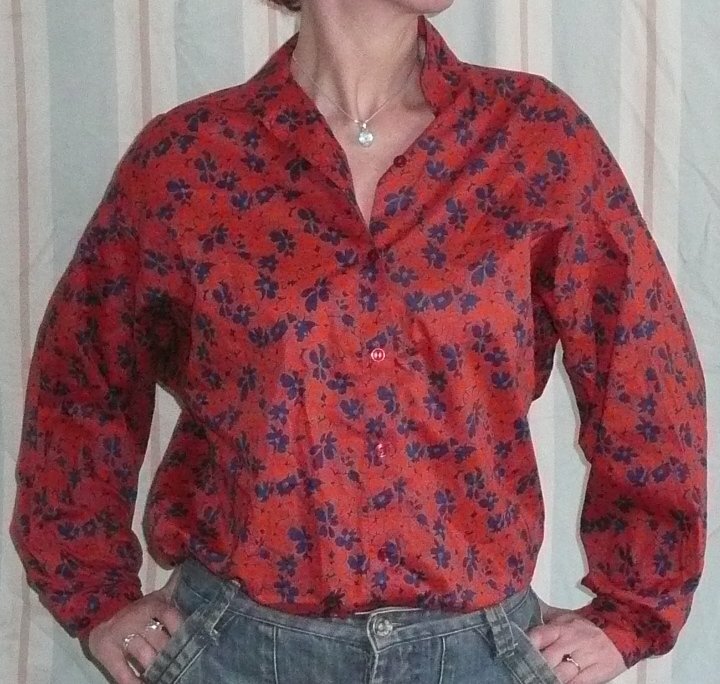 Marked as a size 3 (large) which I take to be about a modern UK size 14 (but see measurements below), it has a little collar, narrowish button cuffs, and a shaped hem. 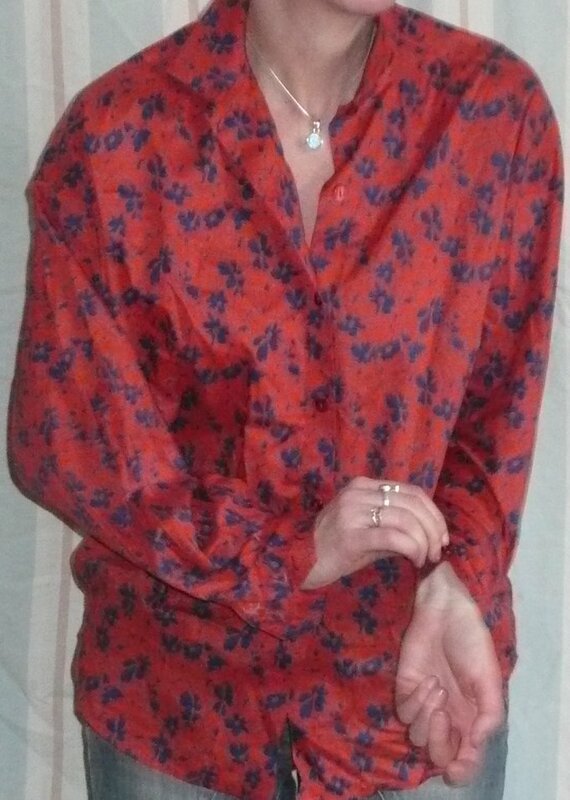 It has all its original buttons, which are dark red. 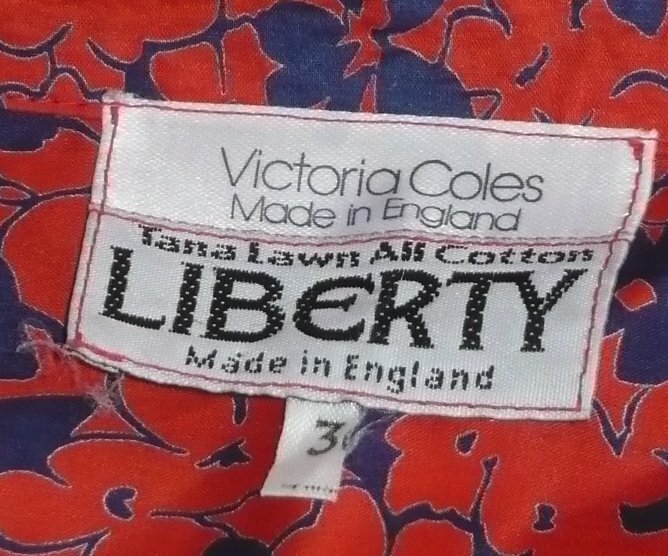 Made from a very fine cotton lawn, the main colour is a dark, very slightly orange-y, red, with dark blue in an all-over floral design, impossible to tell whether it is blue on red or vice versa! 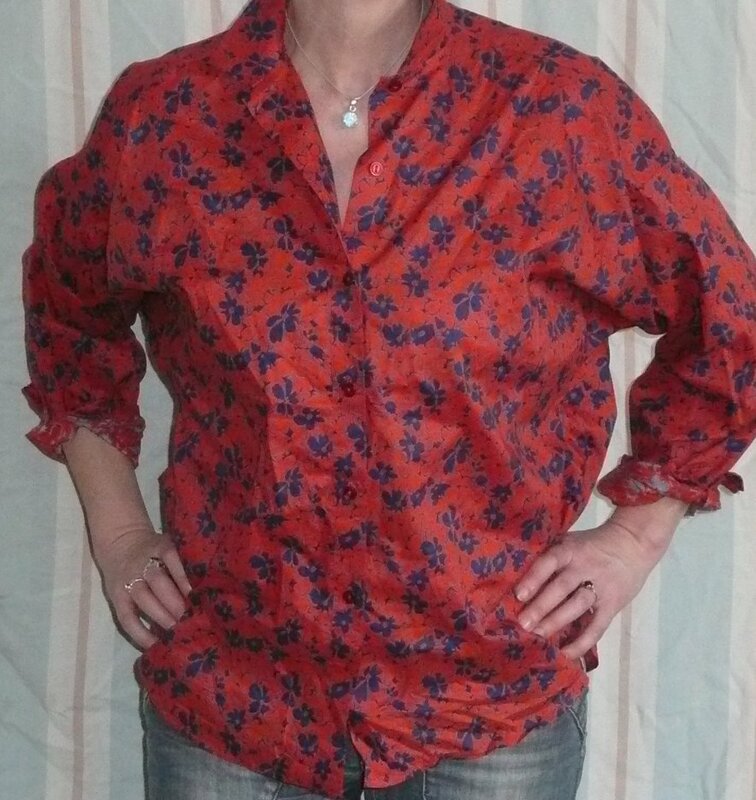 In, as far as I can tell, absolutely perfect condition, approximate measurements are, bust, 42 ins/107 cms; sleeve seam, 19 ¾ ins upper, 17 ½ ins lower (plus 1 ¾ ins.4.5 cms cuff); maximum length of back, 28 ins/71 cms.